all the way to Boston! My little flag will be joining countless others from all over to be displayed in Boston, hopefully in early June. If you're interested in sending a little love too, The Vancouver Modern Quilt Guild has all the details (including tutorials to make some flags). There's even a Flickr group, if you're looking for inspiration. P.S.The deadline is May 21, 2013. 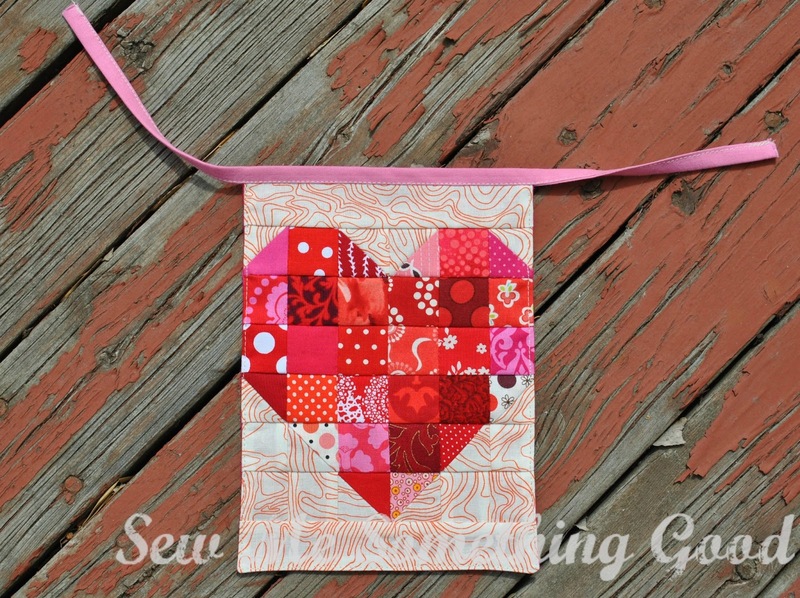 Hot on the heels of finishing some potholders, I've made another scrappy finish for my kitchen. until I had a piece large enough. Checking to make sure my patchwork is large enough for the pattern piece. Then I went on to quilting it, making a back and inside for the oven mitt. 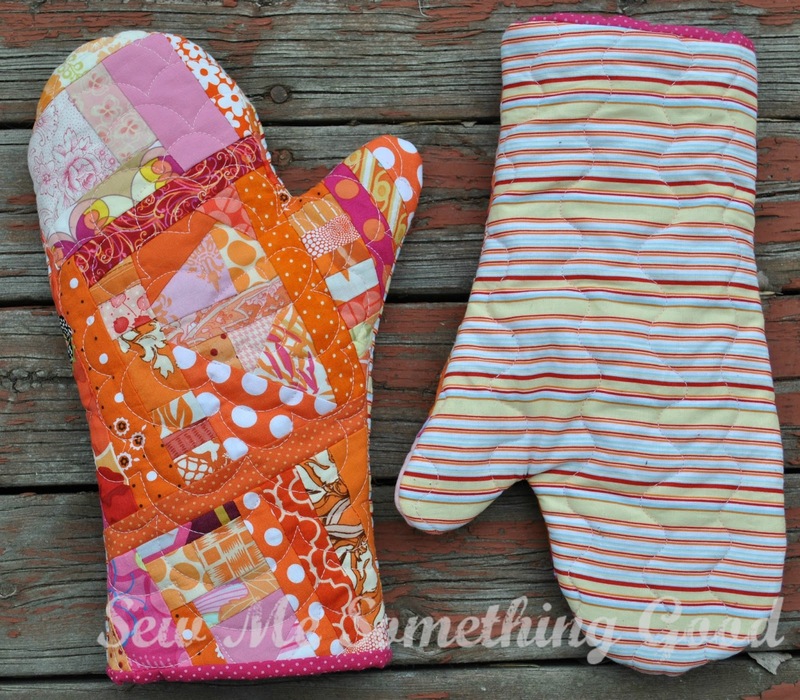 The colourful patchwork is the top for one oven mitt. New oven mitts and new potholders - all from scraps. I'm all set for kitchen duties! It only happens once a year. Which is probably a good thing (considering how much I always bring home... lol). 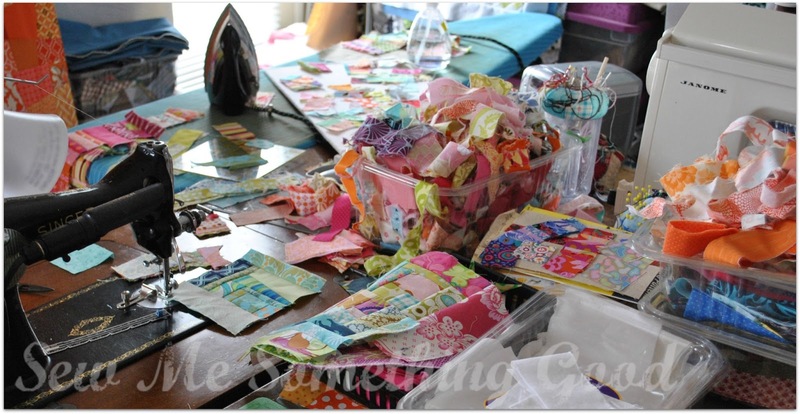 I look forward all year long to this fun day of gathering sewing notions, fabric, yarn, patterns and other creative goodies while helping out a worthwhile cause. I nearly missed out this year, though. My usual source for notification of the sale wasn't helpful. Luckily, I had the name of the charity and went online searching, to discover the sale was to be held the very next day! 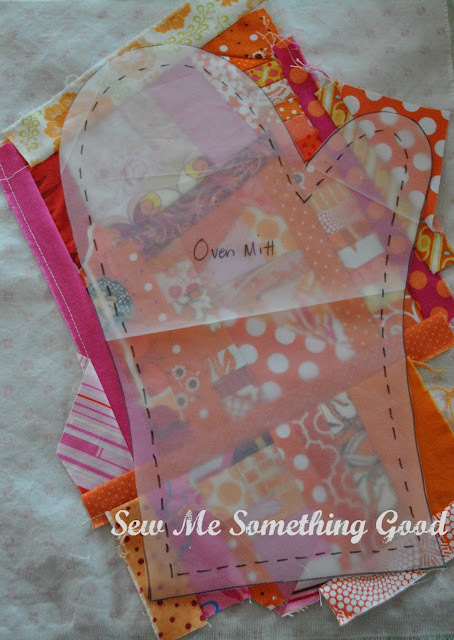 Each year I've attended, I try to stock up on some basic sewing notions. 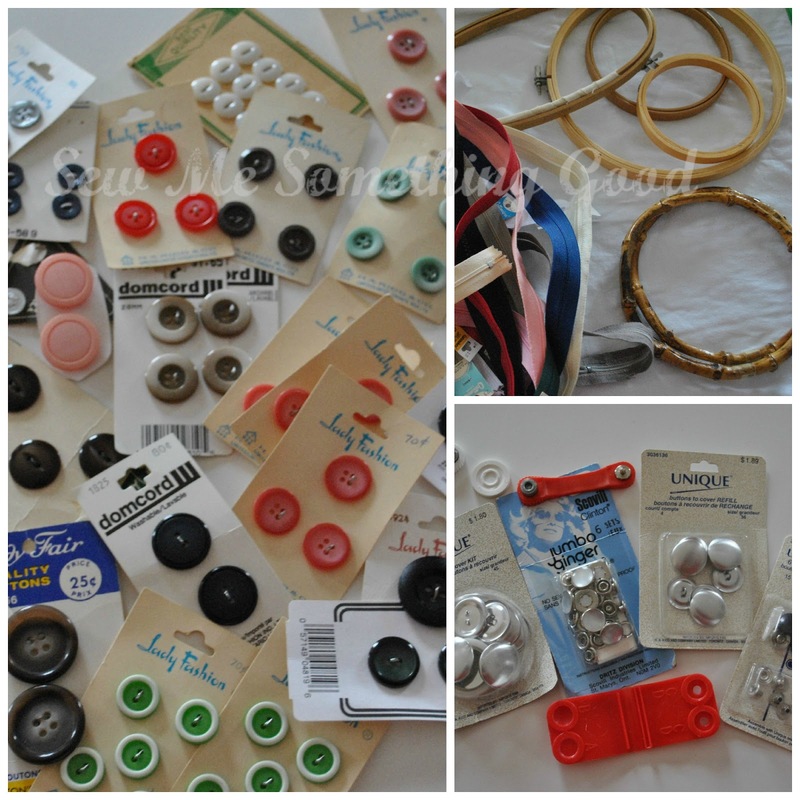 This year, I returned to gathering buttons and snaps and zippers. I also snagged a few small embroidery hoops. I showed great restraint in the yarn section. I only brought home 10 balls of crochet threads (at 50cents each - you will understand how much willpower I had to resist bringing home more! lol). 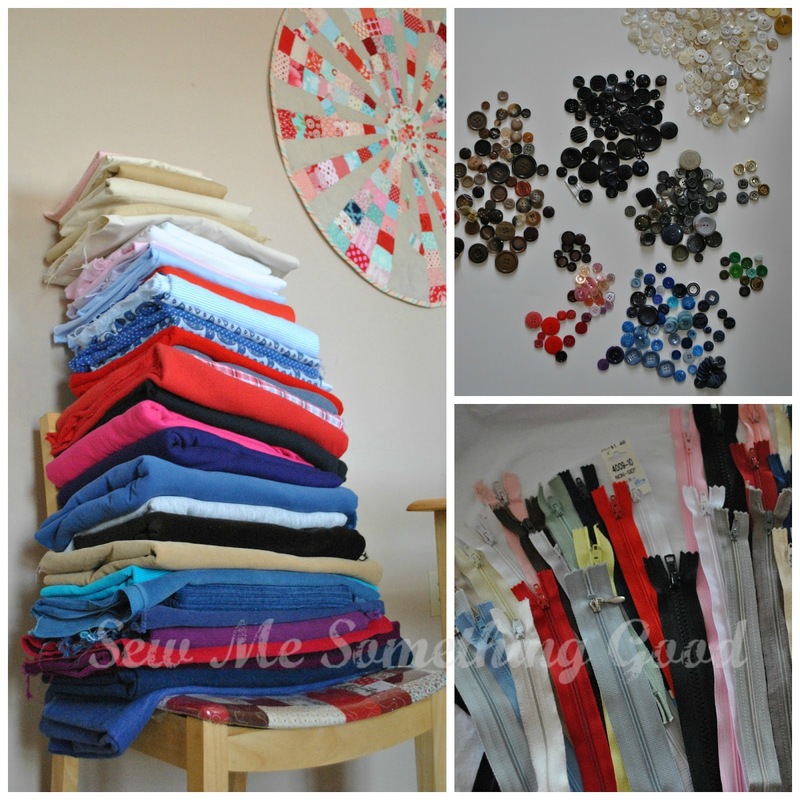 Along with cards of buttons, I gathered up loose buttons and went about sorting them into colours when I was home. Lots here to add to my button stash for use in projects. Zippers were priced at 10 for a dollar in small bags, but as my stash of zippers is already pretty healthy, I didn't go overboard this year. 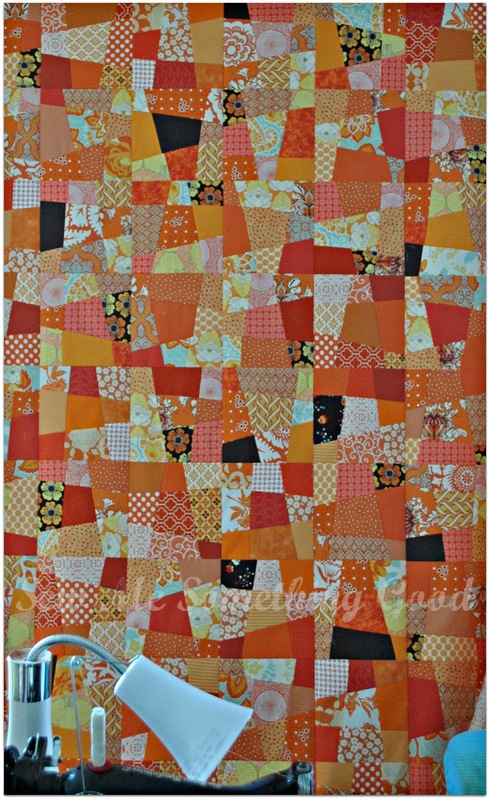 The biggest attraction for me this year, was fabric. 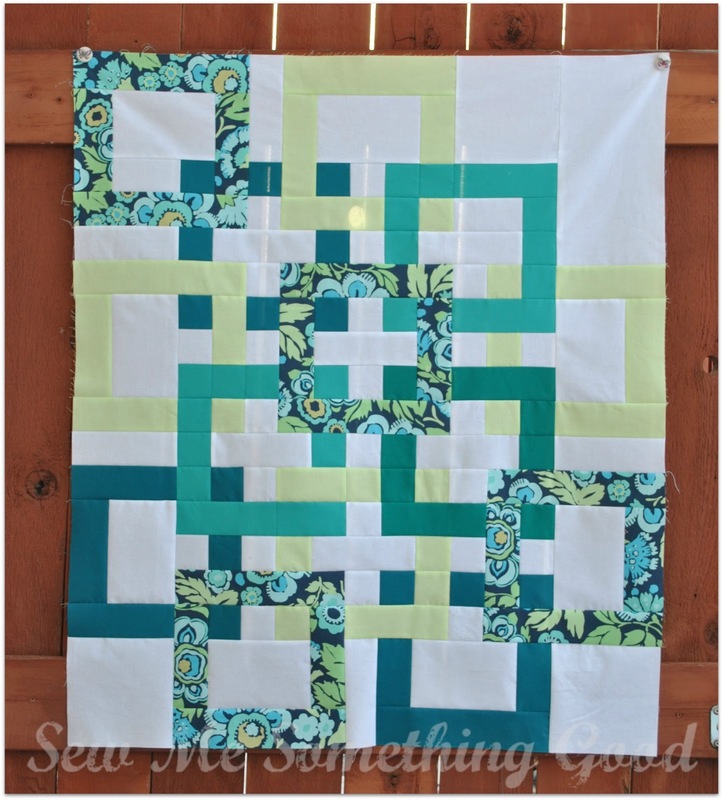 Believe or not, I didn't even look for quilting fabrics! 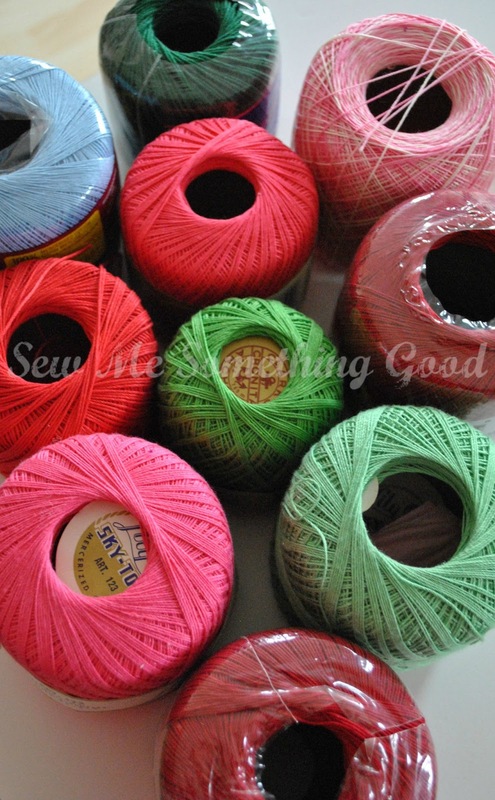 I was on a quest to gather some staples for sewing some clothing for myself and family. I zoned in on flannel (for pj pants), interlock jersey (for T-shirts), jogging fleece (for hoodies), denim & corduroy (for bags and garments) along with some muslin, canvas and burlap for other sewing projects. Being able to purchase a couple of metres at $2/piece means that some affordable sewing is ahead. 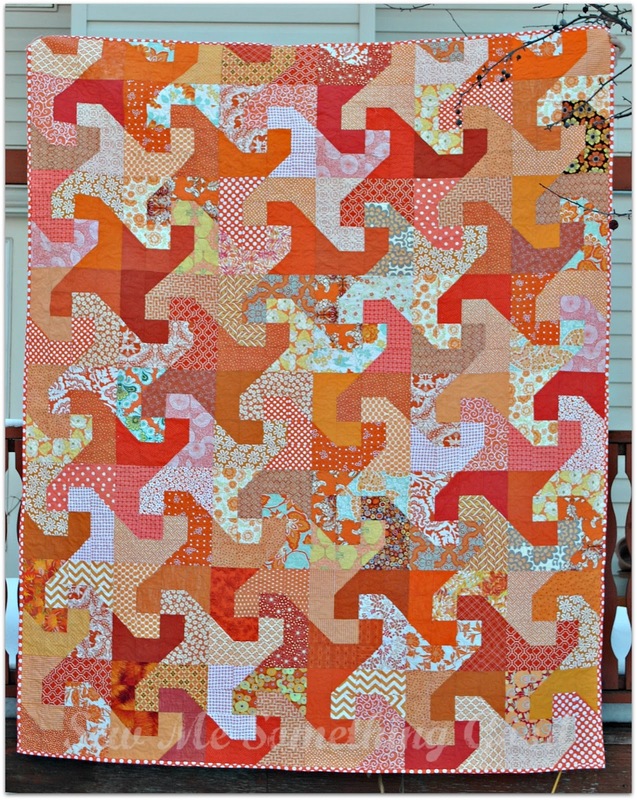 I even scored some pieces that are over 3metres in length (that sold for $3/piece). Crazy good, right?! Buttons and zippers sorted and ready to add to my stash. A tower of freshly laundered fabric awaits me! 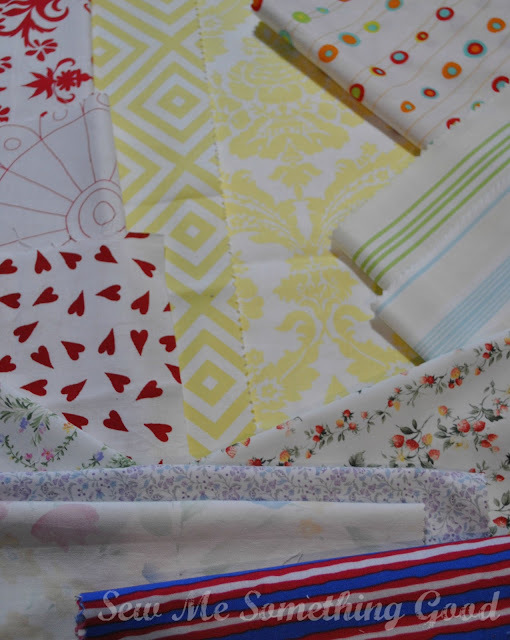 Lots of sewing ahead for my family's needs. Is it any wonder that I anticipate this sale each year? Enough that I stood outside in the windy, cold weather with other devotees, awaiting the doors to open and the thrift shopping to begin. 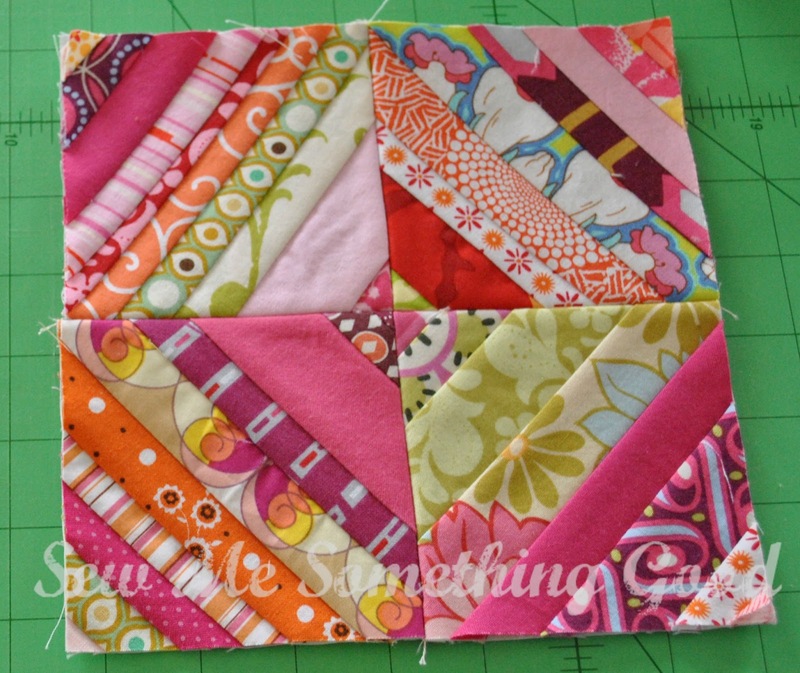 I have my first finish for Q2 of the Finish-A-Long with Leanne. Okay, it's a small finish, but after a week of being sick and accomplishing little else, it does make me happy to cross these off my list. 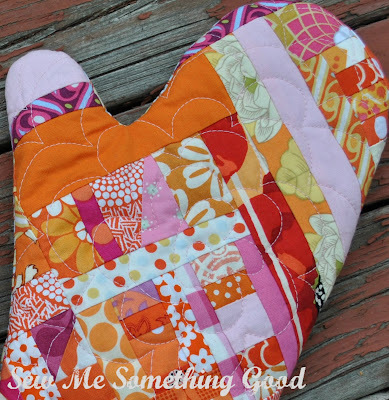 I especially love finishes that come from scraps (here)! I've made potholders before, but this is the first time I've made them using a special fleece specifically for hot or cold applications. I used one layer of the Insul-Fleece along with 2 layers of quilt batting and three layers of fabric (my scraps were pieced to a foundation fabric). 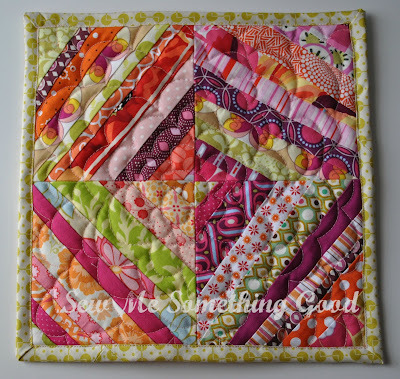 Free motion quilting through all those layers went quite well. The tricky part was in adding the binding - but that was manageable too after I reduced my usual seam allowance for binding. I made two sizes of potholders, mainly because I'm not the only one that will be using them. My hands are the smallest in the household, so to accommodate the menfolk (with their larger hands), I made this one for their use. Plus, I figure this size would do double duty as a hot pad to set pans on. The second potholder is smaller and more suited to my hand size, although my sons thought it was a coaster. Okay, it is small and there's no hanging loop (which I not only find useless as I store my potholders in a drawer, and I always end up burning off a hanging loop during use anyways... so no loop on purpose ;o), but it's the right size for me. 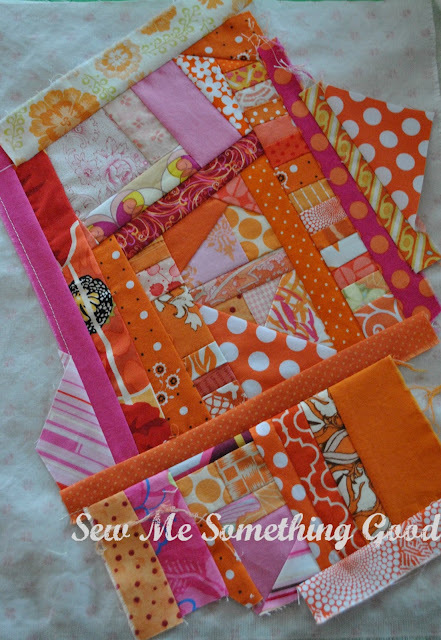 Again, scraps on the front and dots on the back. Yum! 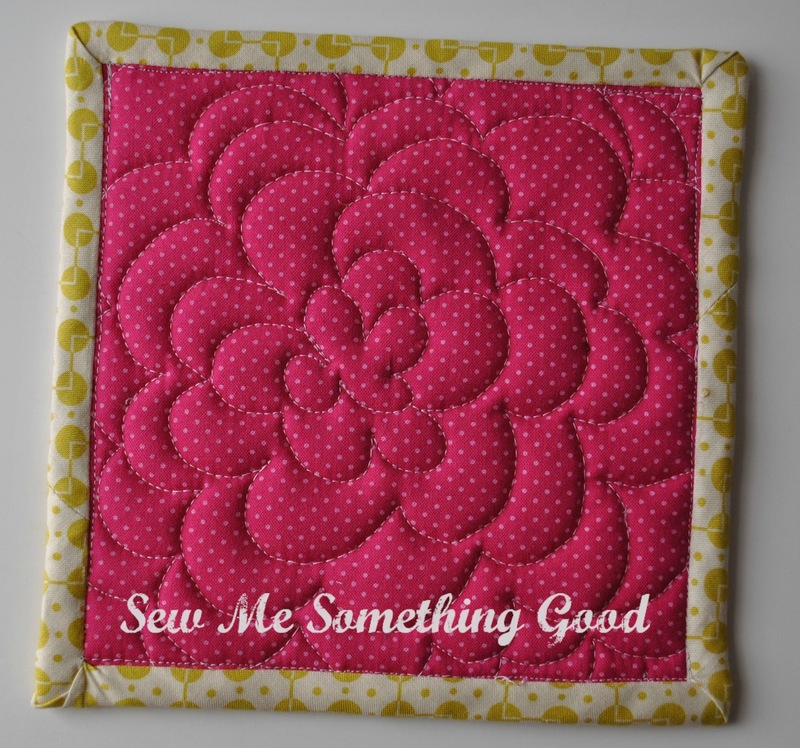 I admit to having some fun with the quilting. 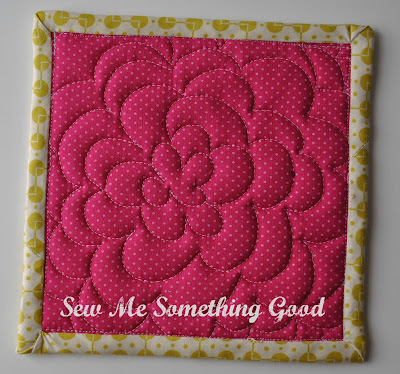 I love free motion quilting a flower design! 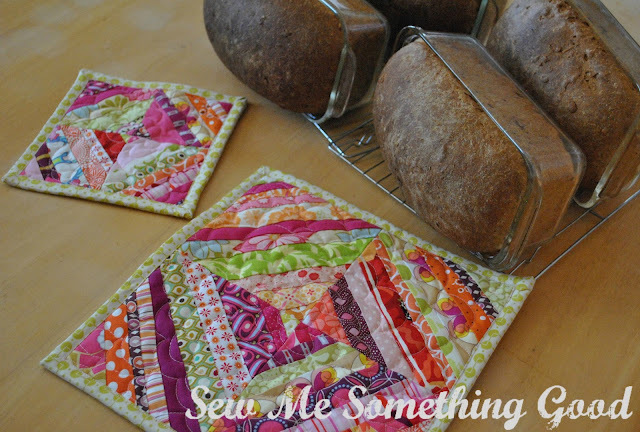 No sooner did I finish the potholders, I put them to the test removing some home made bread from a hot oven. They passed the heat test with flying colours! I guess more scrap play sewing is in order! 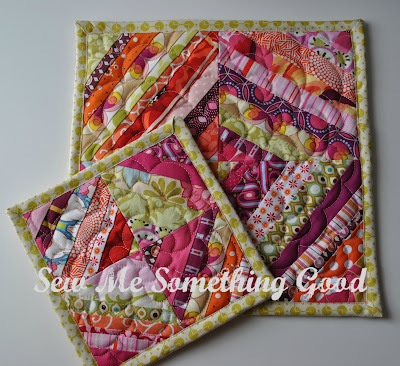 I'm linking up with Amanda Jean's Crazy Mom Quilts... Finish-it-up-Friday! The week wasn't all bad though. I spent a little time crocheting - seems I could manage the simple repetitive stitches in this hand made trim (that I've been wanting to make for awhile). 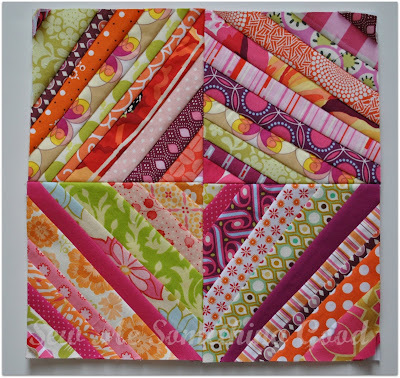 This was a prototype as I want some to add to pillowcases I intend to make for my bed. More crocheting ahead, now that I know the pattern works with this particular thread. 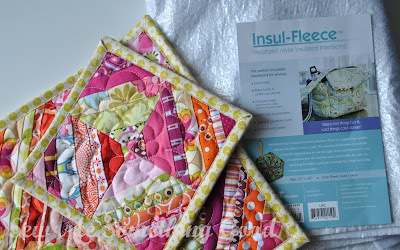 While I was under the weather, I received a lovely package of fabrics from my blogfriend in Sweden, Maria. She knows I'm trying to collect some low volume fabrics for some quilting projects and she wanted to contribute. 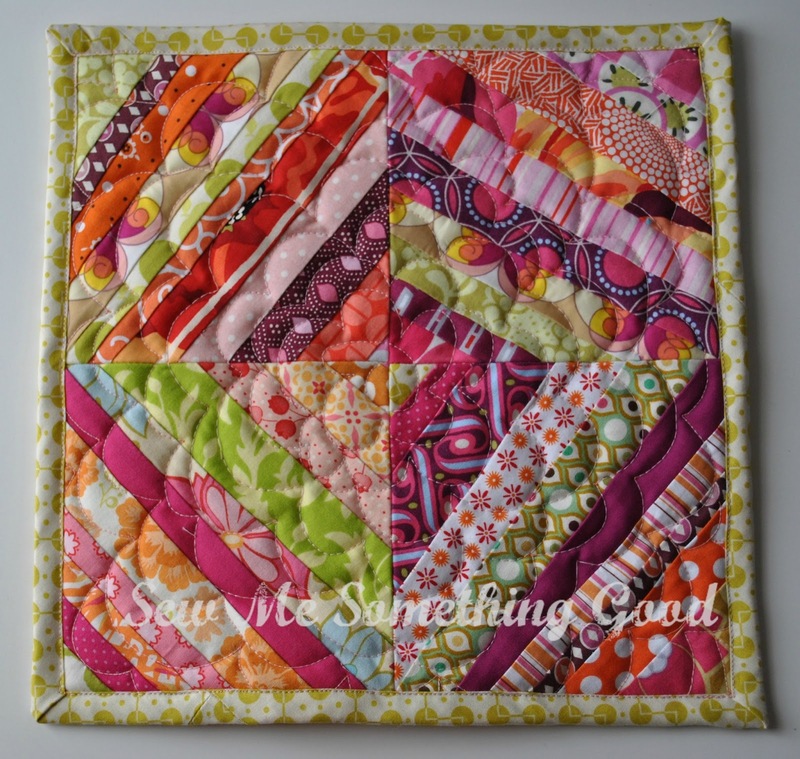 I feel so spoiled by her kindness (she even tucked in some yummy Brandon Mably fabric, too!) and I'm quite excited to put these pretties to use. Thank you, Maria! The final highlight from the week I was sick, is that I was able to attend the annual Unwanted Fabrics and Crafts Sale. Here's just a small sample of the treasures that came home with me (more on that in another post ;o). Thank you to all who sent "get better soon" wishes. I'm so happy to be nearly 100% well again. Nothing like being sick to make you appreciate being healthy! that I'm under the weather. Seems that the 3+ years being illness- free streak I was on, has been broken. Actually, it's been so long since I had a sore throat that I wasn't even sure that I had one... at first. The restless night with a swollen throat clued me in that this was for REAL. ;o) So, I've been drinking hot lemon water and resting. Too sick to help my husband on the construction jobsite, but not so sick at this point, that I couldn't spend a little time sewing. Wrapped up in a quilt, I've been working on one of my FAL projects. Yay! Progress! My 1" square collection has been put to good use making more mini-sized Granny Blocks. Since I'm wanting to make a king-size quilt with these colourful little beauties, I have a lot more blocks needing to be made. Thankfully, these are simple enough for this under-the-weather sewist to distract herself with (while not blaming her hubby for being the one to share his germs ;o). 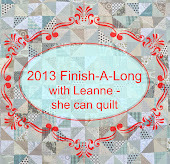 I'm all set to knock some works in progress off my to-do list, so I'm joining in with Leanne and friends for the second quarter of Finish-A-Long 2013! 1. 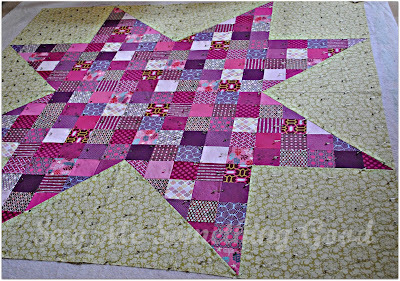 Pop Star Quilt - basted and ready to be quilted. 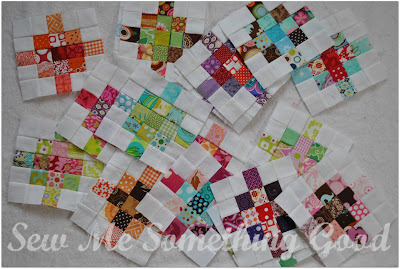 Still have no idea what I will use for binding! 2. 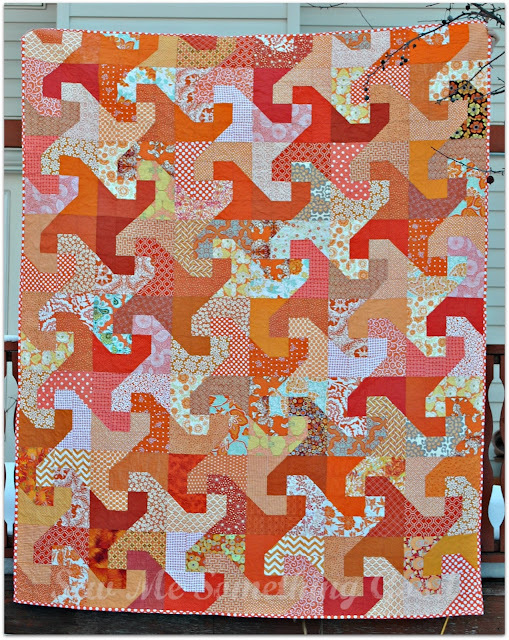 ManDarin Quilt - it's a flimsy and I've sewn extra blocks to make a pieced backing. 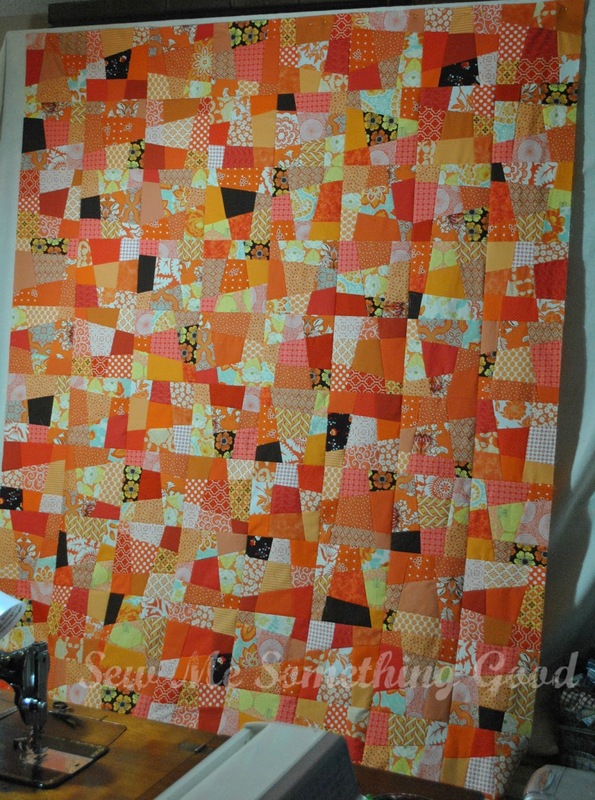 Need to get that backing pieced, then on to basting, quilting and binding. Yay! 3. 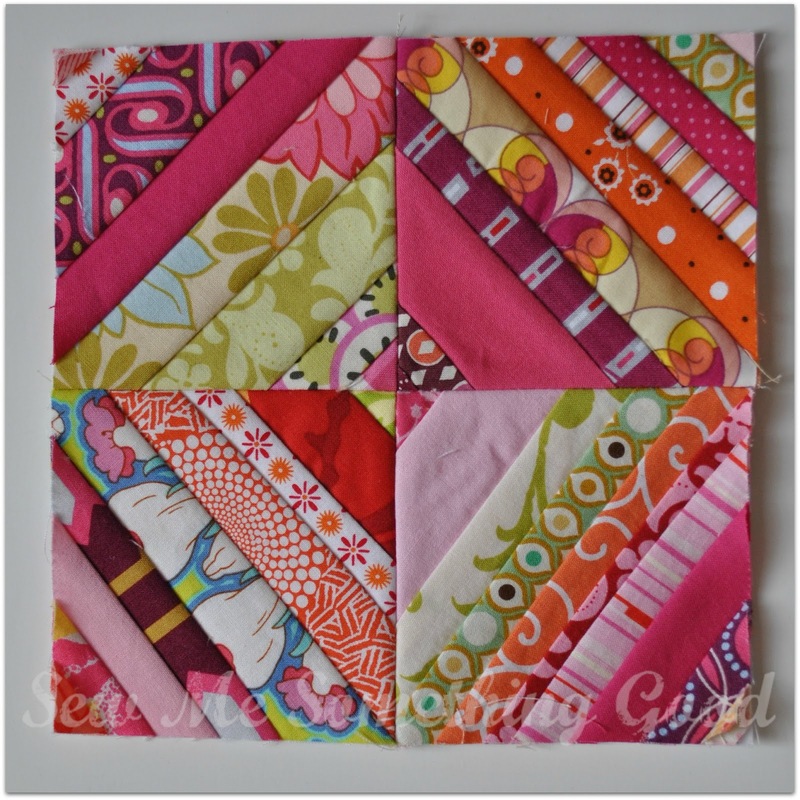 Mini Granny blocks - only have a few blocks made towards accomplishing a king-size quilt. No backing fabric or binding determined just yet, but I have my batting ready and waiting. 4. 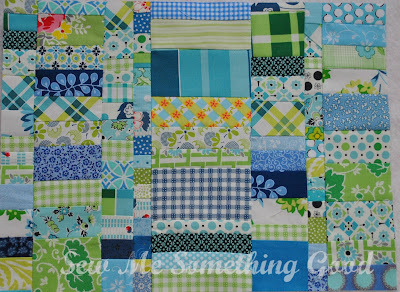 Possibilities in Blue and Green - would love to turn this into a mini or baby quilt, but need to do some more piecing first. 6. Garden Plot Quilt - a flimsy I made for the Emerald Challenge in March. 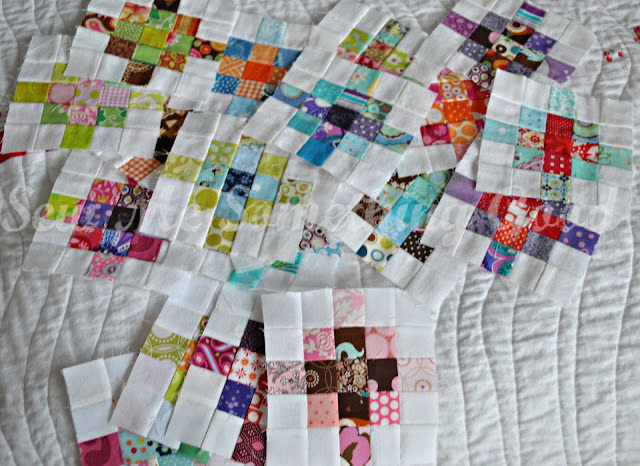 Ready to be basted, quilted and bound. (So I guess I best sort out what I will use for backing and binding... lol). Curious to see what others have on their FAL Q2 lists? but I did end up with some new "yardage" to use for projects. 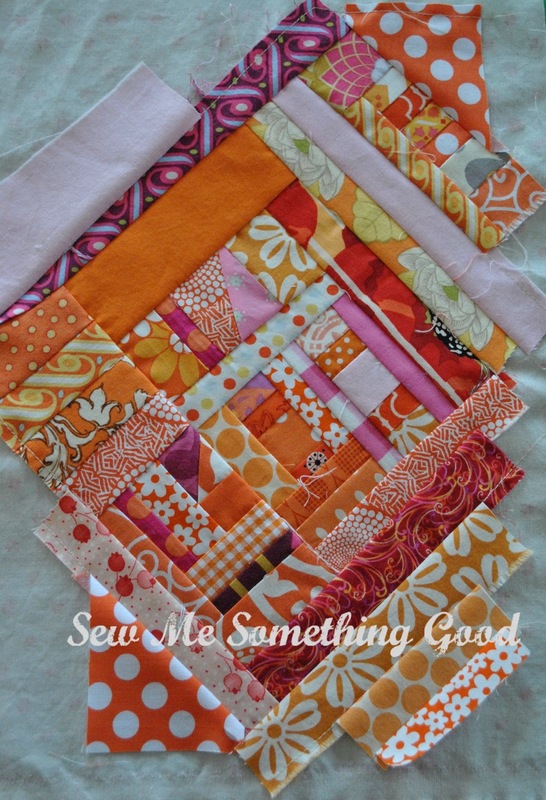 I have to say, it never ceases to amaze me, what you can make with scraps! 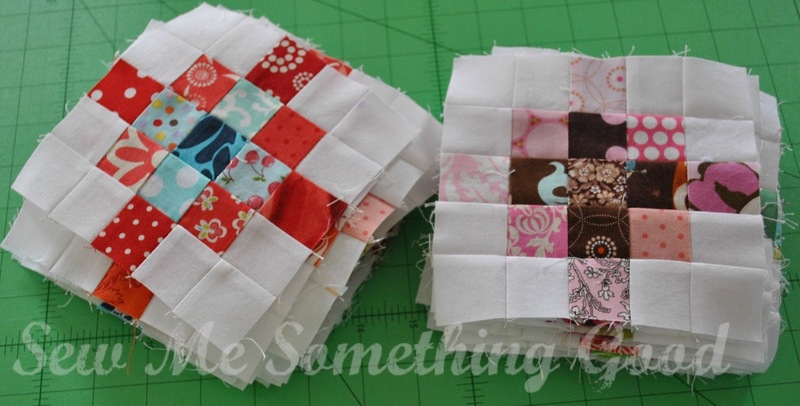 Here are only a couple of the pieces I patched together. 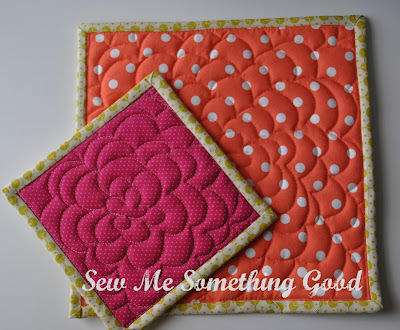 I'm thinking that these two "new" pieces will become much needed potholders and for that reason, I stitched the strings onto a foundation fabric (figure the extra layer of fabric can't hurt in making them more heat resistant). I'm rather excited not only to replace my worn out ones with colourful (and whole... rather than holey ;o) ones, but to see those fabric bits sewn into something useful. 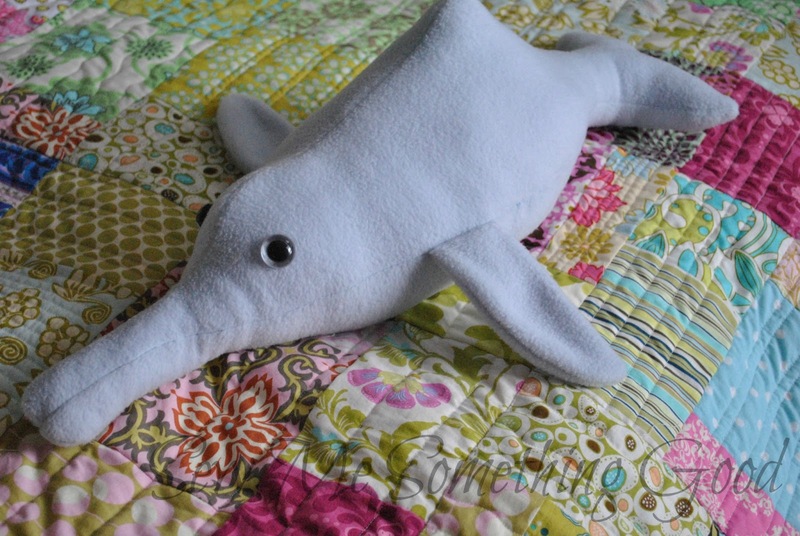 while the dolphin is for my nephew. 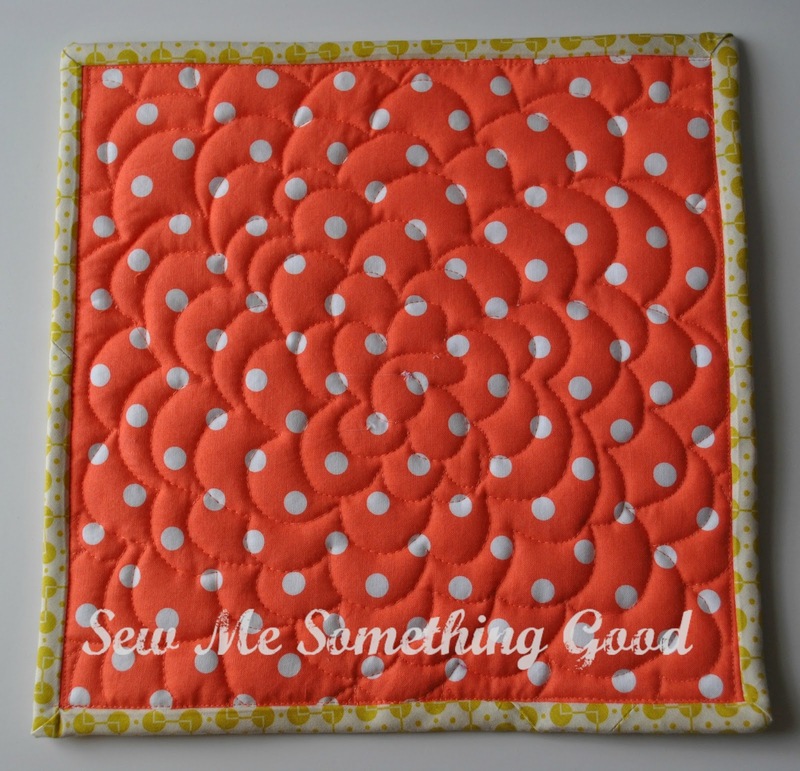 The first quilt to be completed from my FAL list is Orange Twirl (click here). The second quilt I managed to complete is Summer Sparkler (click here). 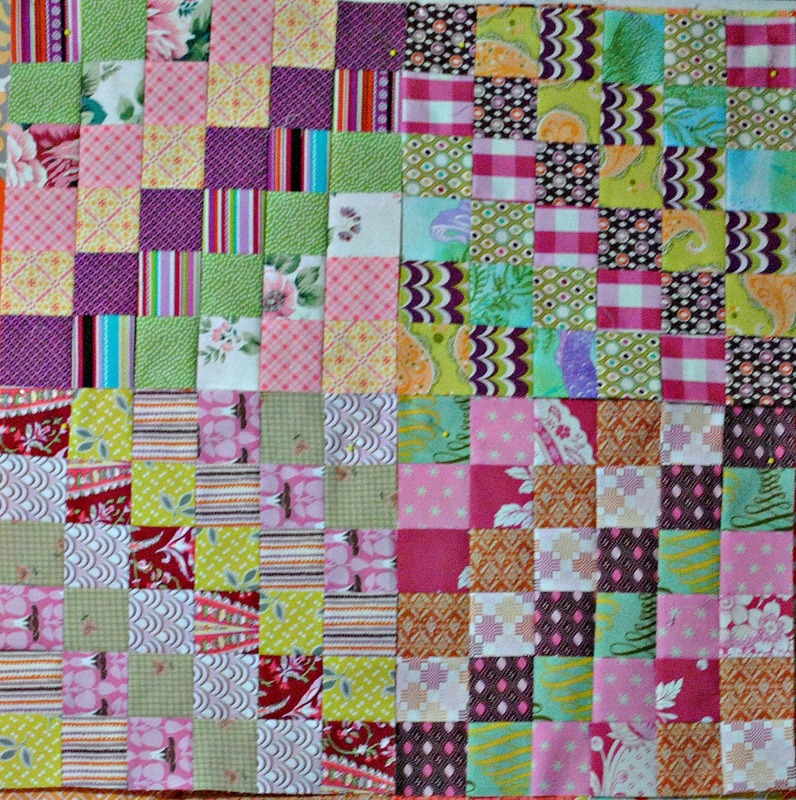 Not one of them is finished in time for the first quarter, although I'm closer now to finishes on two of the three. My version of Made in Cherry, which I've named Pop Star, is basted and awaits quilting, so I'm pretty pleased on the progress on this quilt. 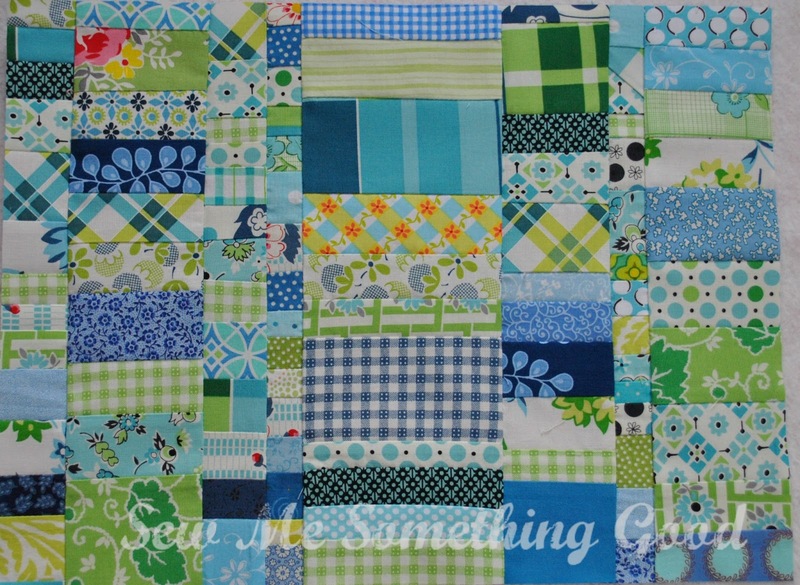 This was the one quilt that I had not even sewn a stitch of, when I added it to the FAL list. My final project that I hoped to complete is a king-size scrappy granny square quilt. No progress was made on this one. That means I have 3 out of 6 finishes for the first quarter of FAL. My hopes were high, but I'm not disappointed to only have completed half of the projects on my list. 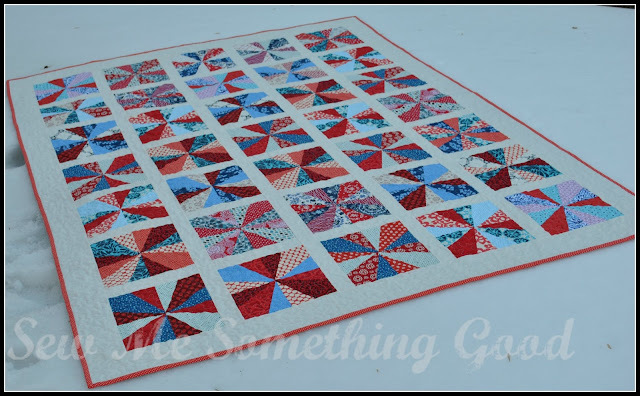 I love the momentum participating in the FAL created - not only did I finish 3 WIPS, I managed to complete a few others not on the list and start a few more. lol Happy times! 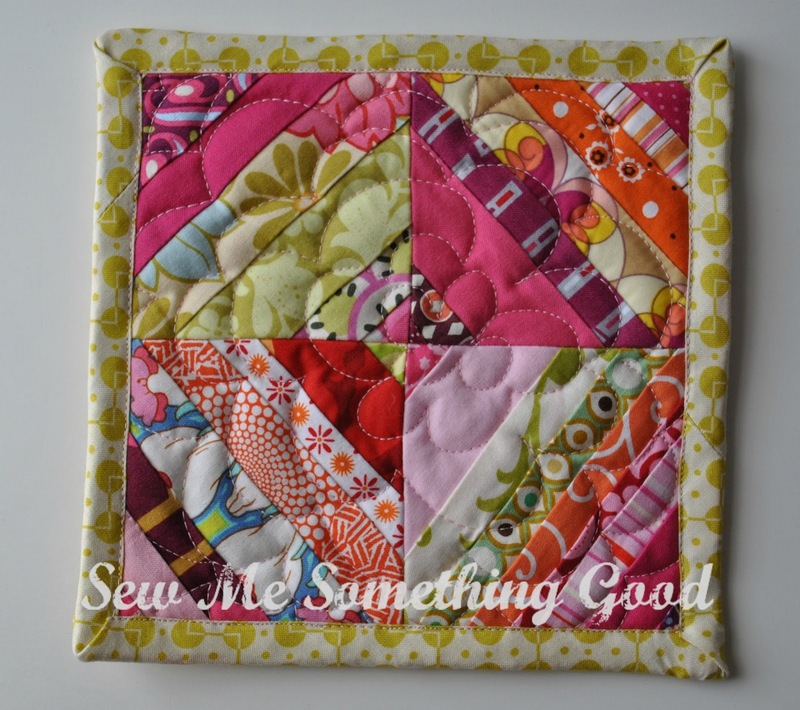 Want to see what everyone else has finished? 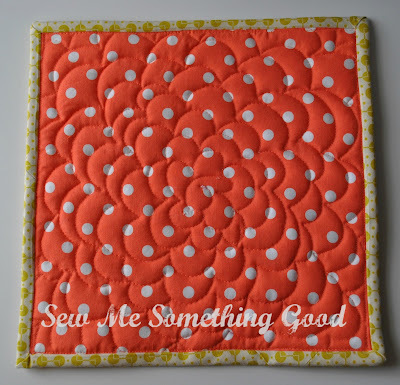 I have two small finishes to share this week. Small and simple, but sweet nonetheless. A bit of linen, a few embroidery stitches and a couple of lovely prints, all add up to a pretty way to keep needles safe and ready for use. 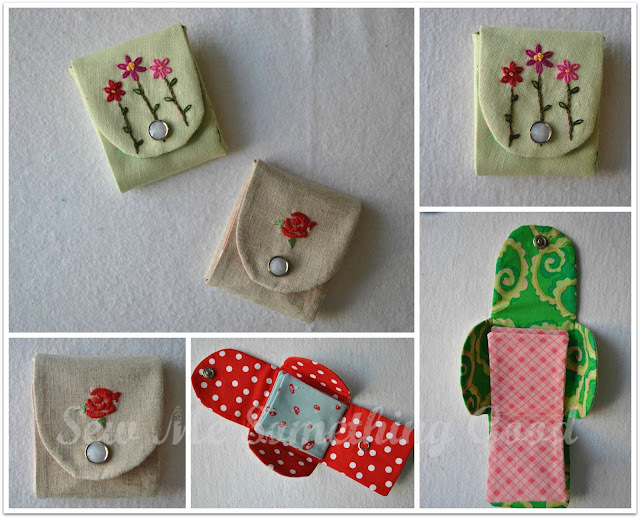 I love this needle book design! 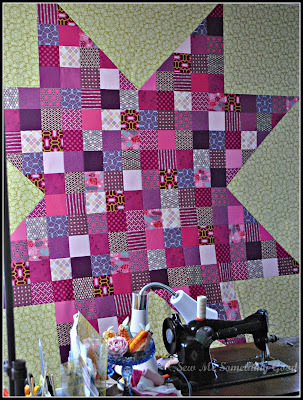 Yes, this is not the first time I've used this pattern, which can be found in Sew Pretty Homestyle, and I know this won't be the last. It's such a gratifying little project and makes me feel happy to see I accomplished a bit of sewing despite a busy week. *I'm willing to ship internationally and will draw the winner on April 7th. Can I blame it on the long work days that seem to be a part of the latest round of installing I've been doing with my husband? 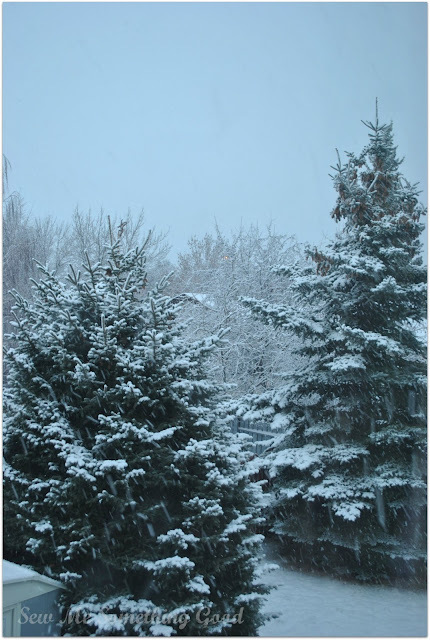 Out my window on April 3, 2013. 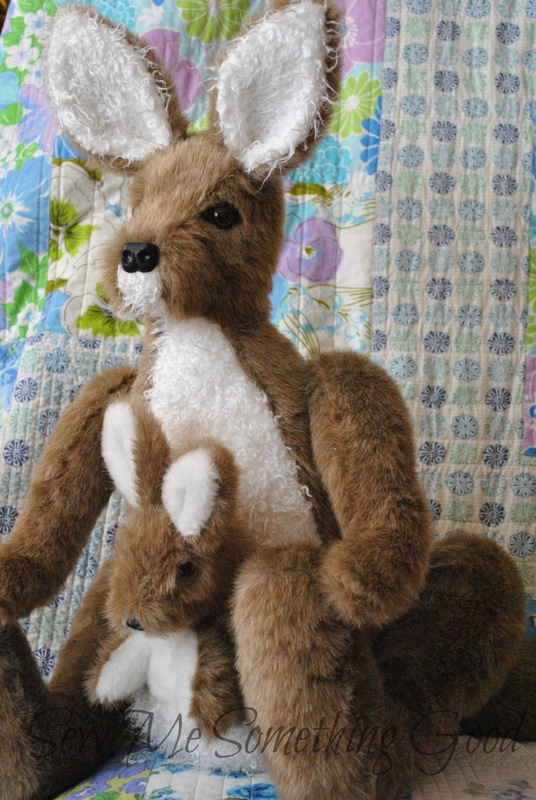 My lovely friend, Maria, sent me a wonderful gift! 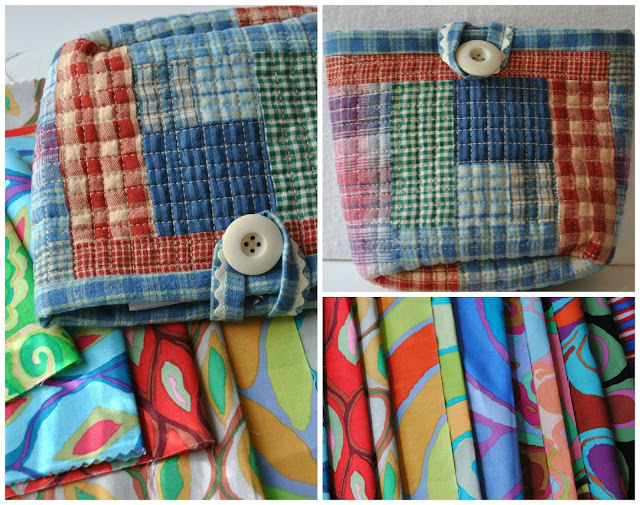 A pretty patchwork pouch made entirely with plaids and some gorgeous Brandon Mably fabrics. Look at those glorious colours! 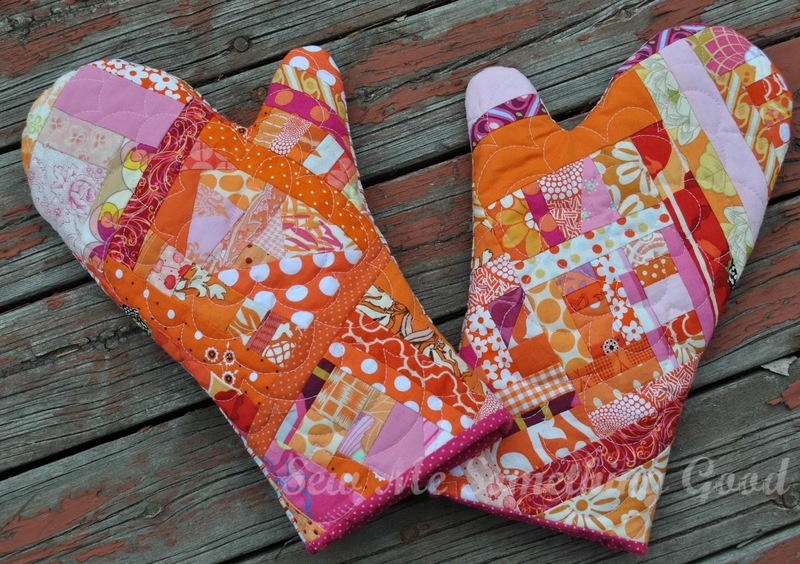 These are the first Brandon Mably fabrics I've had the pleasure of sewing with. Didn't Maria completely spoil me with her gift?! 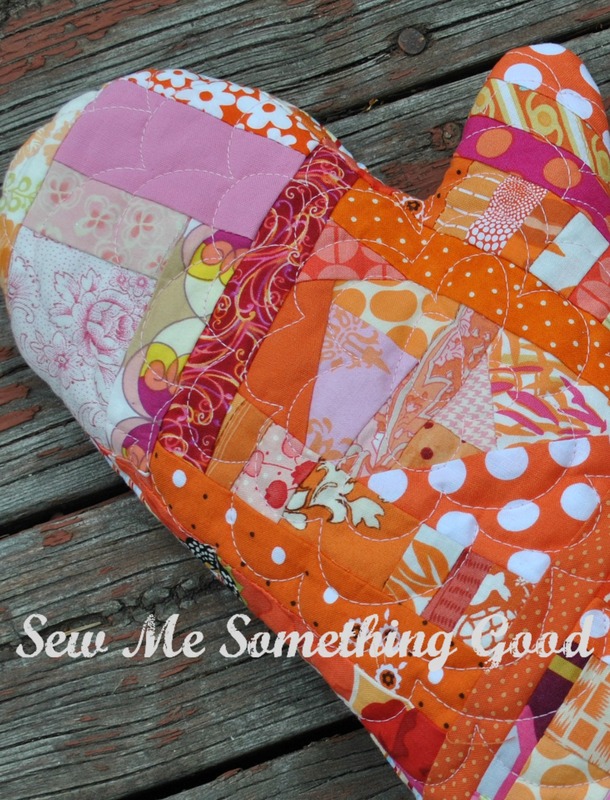 I'm so in love with the details on her pouch - such great texture with her quilting and I love the bit of ric rac on the button loop. Wishing you a happy finish to your week!